I have a unique vantage point in California. Born in New Jersey and raised there during a time of the early decline of the Industrial Northeast, I have always been amused by the comments of Californians regarding the “over-development” of this state. I smile. Those people probably know that I disagree with them, but since I am not a native and since I long ago discovered that this state possesses a rather strong, deep strain of nativist sentiment, I keep my mouth shut where the natives are concerned. To other “outsiders,” however, I clearly opine: California still has quite a ways to go before it attains the population density and lack of opportunity of the places that I left behind me, mostly because of the population density and lack of opportunity. Paradise is always the thing that’s lost. I recently re-watched a documentary about the movies of Hollywood in the year, 1939. So much angst about what would follow! So much rear-view realization and rear-window warbling about war! So much hand-wringing about the hand-wringing that supposedly happened. So many vain attempts to rewrite the script that was the Golden Era of Hollywood! Oh, well. Another disk goes in the trash. The film clips of this documentary were wonderful but the cautious commentary by the “educated experts” on the subjects of the American viewing public and “the threat of war” was worse than laughably sanitized. It was boring and it was wrong. No, buddy boy of the PhD school of film studies. Hitler wasn’t “going into” other countries, as if he was going on holiday, or vacation! He was invading them! Mass slaughter was next on the list. And “the American people” weren’t paying all that much attention. Not until 7 December 1941 did “the American people” wake up. 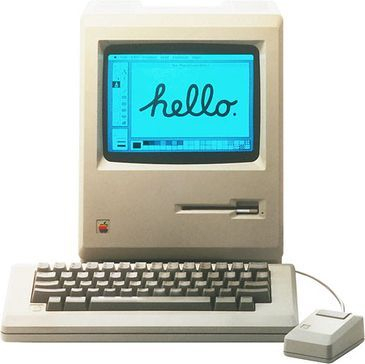 There was no television, no cable service, no 24/7 satellite news. Just newspapers with huge screaming headlines that were probably only half-true. And there was radio. For most people, there was the large, hulking, tube-lit radio for music and drama and for the Fireside Chats from FDR, the pep talks that would today be called motivational speeches. Most Americans then, as now, were busy with work if they could get it, and busy raising families and trying to ignore the bad news of any day. It was not escapist but it was reckless and it was irresponsible. No man is an island but the people of the United States had not yet learned that hard lesson. 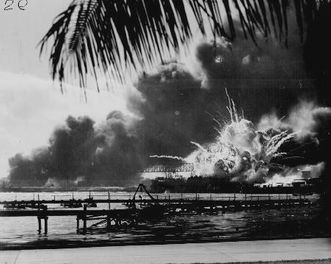 They’d yet to hear about the events of 7 December on that island of Hawaii. Long before that fate-filled morning, more than a few studio bosses were the ones paying attention and getting, not nervous, but outraged about the complacency of the U.S. government toward Hitler and the pacifist isolationism of the American people. At MGM, there was Louis B. Mayer. This Jewish entrepreneur was born with the name, Lazar Meir, in Minsk, the Russian Empire. 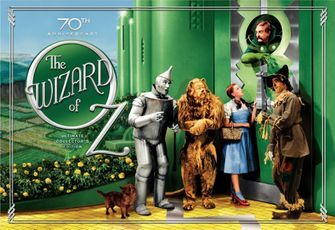 The allegorical movie of 1939, “Wizard of Oz,” was not just an MGM film of that age, but a film for the ages. At Warner Brothers, there was Jack Warner. Jack, born in Ontario, Canada, was the youngest son of Jewish Polish immigrants who fled Poland in 1888 with their three older sons (the 3 other “Warner Brothers”). 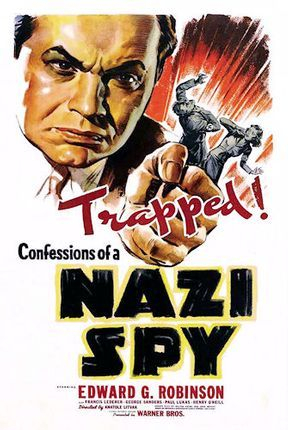 The 1939 film, “Confessions of a Nazi Spy,” was produced and distributed by the Warner Brothers with not only the calculation but the desire that Nazi Germany would ban this movie. And it did. For me, the largest impression from this latest (and last) viewing of this documentary, with its milquetoast massaging of the year 1939, came from the incredible images of southern California from that era. 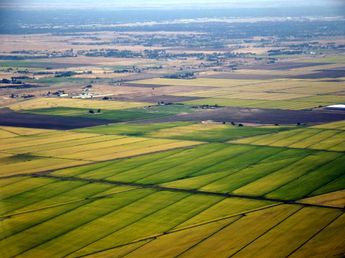 In some ways, the open spaces of that region were not unlike the fertile fields and fallowed farmland of the northern half of the state that met me in 1979 when I moved to the Golden State. There wasn’t much gold (other than the dried golden grass of the hillsides); not much of a middle class; no Silicon Valley; and very little of the Central Valley was a decent place to live with adequate salaries for skilled workers of any occupation. Oh, there were small towns, filled with hovels. And there were the big cities, also filled with hovels — and with the mansions that were far enough away from the hovels so that the elites did not have to see them or the poor that inhabited them. Believing that money handles everything, the bleeding hearts simply sent (and still send) their tax dollars to the compassionate bureaucracy to fix the stinking problem! Or at least remove it from their occasional and unintentional view. Businesses and corporations did not build Sacramento. State government did. And it was the advent of air conditioning in the late 1960s that brought the construction of houses in the Central Valley to encourage the development of California. The summer temperatures all up and down this region — an area that extends about 450 miles, from north to south — can reach 115 degrees F although 105-110 is the norm during a heat wave when nature’s blast furnace gets turned on for about ten days! It’s a dry heat, though. And this wall of heat - the scorching hot weather — has been going on for centuries, long before the heated panic over global warming. Just east of the Central Valley, in the foothills, even the town of Paradise has endured a summer temp of 111 degrees F! And that was before “over-development”! The paradise that was lost in the Golden State was never there. The fields of goldenrod and ragweed and rice and corn, trees and tumbleweeds were replaced with tract homes by the millions. And all of that supposed over-development of the past 35 years finally brought the Middle Class to California, the Golden State which during the Golden Era of Hollywood had mostly moguls, those immigrants turned by inexorable work into millionaires; migrants; assembly line and factory workers (Hollywood itself was a huge factory); and the hard-scrabble poor. The Great Depression brought Okies to California, the types of people that John Steinbeck would record with meticulous and alluring detail in fictional terms. The Second Great War, WWII, brought the military-industrial complex to California. The defense of a nation, not greedy land speculators, was responsible for the growth of the population in the Golden State from just over 6 million people in 1935 to 9.3 million by 1945. By 1965, the state counted 18.5 million residents. That two-fold increase in population occurred in just 20 years, and it took place long before the whining of the California grapevine, as I have come to call the natives being restless about all of these people entering “their” state. By 1990, the fall of the Berlin Wall and the subsequent end of the Cold War ushered in an end to a way of life for many people in California. Although the closing of many military bases took place gradually over the course of a decade, the impact on numerous service industries and several professions (medicine, teaching, realty) was dramatic, even with the “kick-the-can-down-the-road” mentality of politicians. Hollywood was already defunct; it simply didn’t and still hasn’t realized its own demise. For some delicious irony, contemplate how one museum piece replaces another: in San Francisco, the Letterman Army Medical Center, with its history of healing, was abandoned in 1994 and was then completely bulldozed for the construction of Lucas Digital Arts. Some people might conclude that this development is a sure sign of the triumph of film art over the military. I suggest they contemplate the unpleasant reality that by the time a museum houses anything, it’s a fossil. The shift in public priorities after the triumph of the free world in 1990 did affect the parasitic trial lawyers who then had to fish for new prey, or victims, some of whom were found among the fish! After 1990, the face of California changed not overnight, but steadily, at a slow pace, toward a much less sunny face, a less fertile and abundant place. During the post-Cold War economic expansion the middle classes (but especially the lower middle class) in California opted into the Welfare State. Taxes were hiked for “higher” education, among other “benefits” for which the citizenry pay through the nose, to the point where now, after promising a college education for everyone (! ), the latest word from the elected officials of California is that resident students are no longer accepted into the public universities (UC and CSU). Kinda takes the public out of public university, doesn’t it? 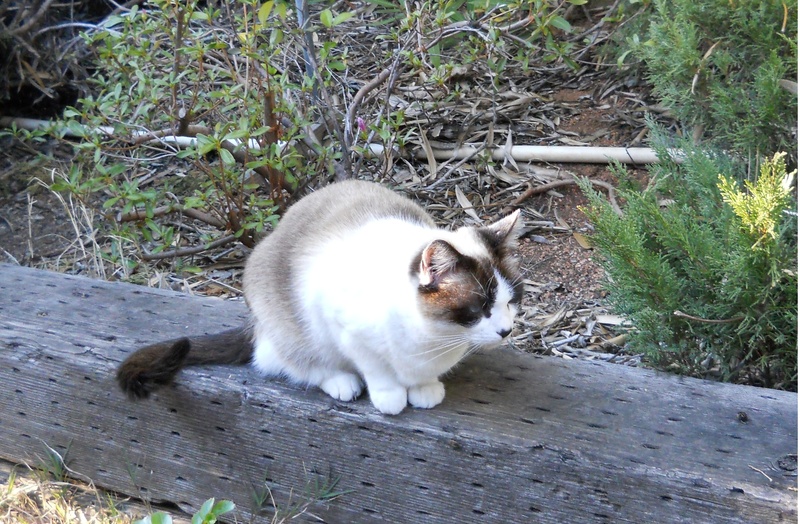 The growth of the Government Blob has been quite costly to this state where many a business, after having been told by the California State Legislature, “My way or the highway,” chose the highway — to Arizona, Nevada, and Texas. The politicians believe “they’ll” be back. I’m not so sure. Families put a limit on how often and how much “they” will be disrupted by the overlord of Government. The aging - but not maturing - of California thus began. The Golden State now finds itself in the unenviable position of having squandered many a golden opportunity while the bulk of the citizenry looks back and wants the smaller California which was so big with golden opportunity! Too many Californians have replaced a belief in the bounty of a dream that says, “The Sky’s The Limit,” with fear. That fear is based on The Scarcity Model and its pie that shrinks more every day. The feeling of true community - the benevolent sharing of the blessings of the banquet of life as well as the heartfelt sharing of the burdens and losses in life - all of those treasured intangibles vanish in such an environment. If one needs to worry about the environment, that one - of small-minded resentment, parsimony, and sauve-qui-peut - is the climate that has become toxic, even life-threatening. Two decades without leadership and positive, forward-thinking ideas have tarnished the Golden State. It is less golden, more brassy, less Harlow and more a harlot whose pot of gold is not at the end of a rainbow but is simply at an end. For a state that borders the ocean, being rudderless has been rough! The mermaid-Nanny State has taken over the ship! I know that beauty is in the eye of the beholder but, to me, Mermie-Nanny is a hag who gets longer in the tooth by the deficit-minute. She wants people in California not to fulfill dreams or create productive, healthy lives, but to generate the revenue stream - the taxes to be collected by her suitors in organically-grown suits. It’s no way to treat people or a population. At best, it’s ghoulish. At worst, it’s godless. California is largely on auto-pilot without much of a pilot and very little auto, save the cars that are purportedly despised but driven more and more, even as the Bullet-to-the-Head train sluggishly heads toward debt and derailment. This farce is the inverse of Shakespeare’s “So quick bright things come to confusion.” So slowly dull things come to delusion. All of the hubbub and chaos, dissension and dire warnings, even the feckless way of dealing with the Drought, are blamed on the Population Growth, dark forces beyond our control, Global Warming which is now Climate Change. I wonder what the PR people will name it next. Focus group polling is currently underway! In reality, the greatest increase in population in the Golden State occurred a decade before the almost incessant complaints that I first heard circa 1979. The whining continues to this day. I, for one, have grown weary of it. Change, real change, is the prescription for everything that ails California. And change occurs in the heart of every red-blooded Californian who wants growth, not stagnation; the primacy of freedom, not primal fear or primal scream; and straight talk, not the convoluted gobbledygook of corrupt grandstanders. California has long enjoyed a tradition of leading the nation in change. It has in recent years turned its back not merely on change, but on growth. The utter failure of elected officials to anticipate change and thus prepare for it was engendered by their swinish self-interest that preferred things not to change. Clinging to power at any cost, the political class cannot forever avoid being swiftly brought face-to-face with how quickly fortunes reverse. Fortune is perhaps the most changeable element in life and the myopic never quite get the hang of the luck of the draw. The myopic now “govern” California but they do not govern its fate. They can’t even govern their own fate. I'll be damned if he'll run mine. The only thing that is progressive about California nowadays is the progressive nature of the peculiar addiction of politicians to tax-and-spend other people’s money. Of course, they do it “for the people.” Such virtue! Such self-sacrifice! 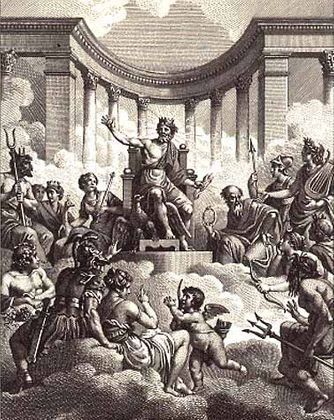 It ought to make everyone mad as hatters about these mad hatters, the fetid fools fantasizing they are Mercury, among other deities of the modern-day Dii Consentes. They are, in reality, the boys (and girls) under the Capitol Dome, the public building that they believe they own, this mad mod version of the ancient Pantheon in Rome. That secular temple is, in truth, the cow town marketplace where influence gets peddled and nothing gets done. The politicians make sure they own, not the solution, but the issue, hopefully for decades! If they were to ever own a solution, it would be kept in a secret vault, the lock-box of government! And while politics has always been a dirty game, the latest crop of politicians, to keep the payoffs pouring in, has had to bemoan and bewail pollution! To further add to the foul farce, they, pigs in the mud and filth, must bellow of how much they care (!) about clean air and clean water! In the New Jersey that I knew people did not get all wide-eyed and giggly and swoon over hobnobbing with politicians or politicos. They knew politics was a filthy game and that the dirt was gonna rub off on them. But here in California - it’s sooooo different! Why, it’s Paradise! Politics are not dirty here. Politics aren’t red-meat; they’re veggie-burgers. And here in California, politicians care a whole lot more than anyone else on Mother Earth. California Politicians are for good things like the environment and education and what used to be “medicine” but is now health-care-for-who-knows? And they’re all for all those other touchy-feely causes that are high-priced, high-falutin rip-offs. Why, in California, “politics” is not even called politics. It’s “Setting a Course for Growth” or “Giving Back” which really mean getting even more tax money and getting even, maybe even stabbing an ally in the back. Here, in California, the fine cuisine of cannibalism has been finessed by the crisis-mongers, the trial lawyers. In any state, in any nation, in any world, and in any universe - politics are all about the palms being greased. So in California it’s 20-weight oil instead of the 60-weight used in New Jersey. Although, in spite of being called “The Garden State,” New Jersey probably uses 90-weight, the viscous stuff used for gears and machinery. Regardless of the weight, the lubricant is still oil. You know, that evil oil we’re all supposed to hate. Guess what? Politicians not only love it, they live on it! They crave it! Wind power is just more hot air and solar power is hot rays and ethanol is hot gas. But oil money - cold, hard cash - subsidizes all of those hot Sham-I-am “technologies.” The ship of state runs on crude. And crudely, I might add. Like drunken sailors, the politicians and regulators and politicos and cronies and phonies are steering the ship called California into “le naufrage” - shipwreck. But, as their sun sinks slowly in the West, their narcissistic mania for being the center of attention and in the spotlight now works against them. The light of truth is dawning: like vampires at dawn, the overpaid hacks are turning tail and hiding like the cowards they are. Spokesmen, spokeswomen, paid aides, the lackeys called the media carry the politician’s polluted water to the citizenry, the “idiot public” who, overworked and overtaxed, just want to watch a good movie and forget about life for a while. Good luck finding the good movie! Might I suggest a film from the Golden Age of Hollywood?! The Great Recession in the Golden State has witnessed the exodus of even more people seeking gold in those other states that treat Okies like real people. The State population still increases, however, and one has to wonder if an equal exchange of “human resource” is taking place. I expect that with the eventual return of some of those people from adjacent states, although not as many as the tax collectors in Sacramento envision, a new crybaby chorus will resound throughout regions of California about people coming into the state to “take away” from them whatever precious commodity or resource is in short supply. Presently, it’s water. During my first few years here in California, it was gas. I was vilely accused of coming here to take “their” gas. I calmly questioned how that horrid confiscation could take place when I did not even own a car! You are obstructing my view, taking my gas, drinking my water, blocking my road, crowding my schools, sapping the power grid, clogging the freeway, trashing my beach, defacing the State Jewel (Yosemite), not keeping Tahoe blue, (Lake Tahoe is another State Jewel; we have many! ), polluting the air, taking my job, not paying enough taxes. If the complaints are contradictory, it’s to be expected. No one, even in the Computer Capital of the World, with the Genius Machines, can keep such a long list logical. 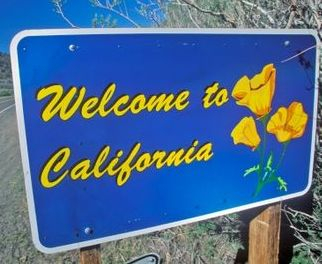 Add to that litany of complaints, the charged argument that the more people that California must contend with, the greater the cost, human and otherwise, during floods, droughts, earthquakes, infernal wild fires, mudslides (which follow after the wild fire), and the typical extremes in weather that make living in this state an endurance test. In recent history, however, there have been no hurricanes, lava flows, tornadoes, or tsunamis. Several years ago, my son told me that every time California gets a chance to take a step forward, the people go back. I told him that the people believed they were going forward, not backward. The inevitable, however, is bound to happen. No one can stop the flow of history. It’s just a matter of time before the future comes. Something always comes along to push the people forward. It will arrive. And, at first, Californians will probably complain about it! It, whatever it is, will happen when they least expect it and it’ll come from where they don’t expect it. Those sensible opinions - perhaps even prophecies, make for a bad day (or night) in the pipe-dream paradise of any politician. He won’t be able to get ahead of the flow of fortune and make it look like he’s the one who brought it about! But those hunches - about the unexpected and the unforeseen - will take shape and take people to a new tomorrow, one filled with the gold of dreams, not the gold dust of promises that can’t come true. Paradise is always a work in the making. The magical pinnacle of the Golden Age of Hollywood, that singular year, 1939, was preceded by 1938. 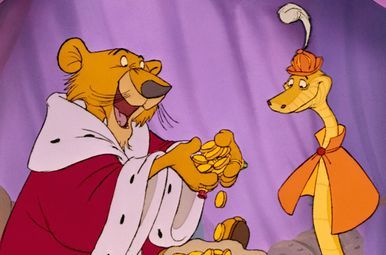 During that year, “The Adventures of Robin Hood” was produced by Warner Brothers. The movie was filmed in the new, innovative, 3-strip Technicolor, and it starred Errol Flynn, the Australian rogue who could do both all wrong and no wrong. The director was the highly original and inventive Michael Curtiz, born sometime around 1886 in Budapest, Austria-Hungary. “The Adventures of Robin Hood” in 1938 rang the bell for freedom from injustice, duplicity, treachery, and despotism in a way that no other movie before or since has done. 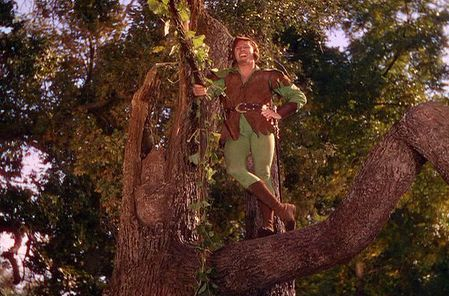 Perhaps it was Flynn in his green tights, daring any man to outdo him physically (even Basil Rathbone lost the swordplay) - but the film evokes an inescapable sense of the inevitability of justice, honor, liberty, love, good manners, and a banquet feast for all! It’s easy to long for what you don’t have. It’s admirable to then work to achieve it. But it’s utterly foolish to want what never was and never could be. That yearning does not fill the empty pockets of anyone. Awareness of it fills the bitter heartless cavity of the charlatans who take advantage of the natural desire of the human heart for liberty and for the luxury of claiming contentment for the soul. Yearn then for the paradise of possibility, a hope and a wish for the future, not the murky mirror of the past whose price gets more costly with each passing day.